The re-tooled New Orleans Saints will try to conquer last season’s road demons quickly when the new NFL season dawns this September. Four of the Black and Gold’s first six challenges come on the road, including the season opener against archrival the Atlanta Falcons in the Georgia Dome on Sunday, September 7. Last season, the Saints were 3-5 when playing away from the friendly confines of the Mercedes-Benz Super Dome. Saints analyst John DeShazier notes: "Improved road play figures to be critical for New Orleans; the Saints fell one game short of winning the NFC South Division title game last season after dropping their final three road games. However, the team might have built some road momentum courtesy of its wild-card victory in Philadelphia, the first road playoff win in franchise history." The Who Dat nation certainly hopes so, since the Saints will test themselves early on the road against the Falcons, the Cleveland Browns, the Dallas Cowboys and the Detroit Lions, with just two home games and a bye week to balance out the travel grind in that early slate of games. 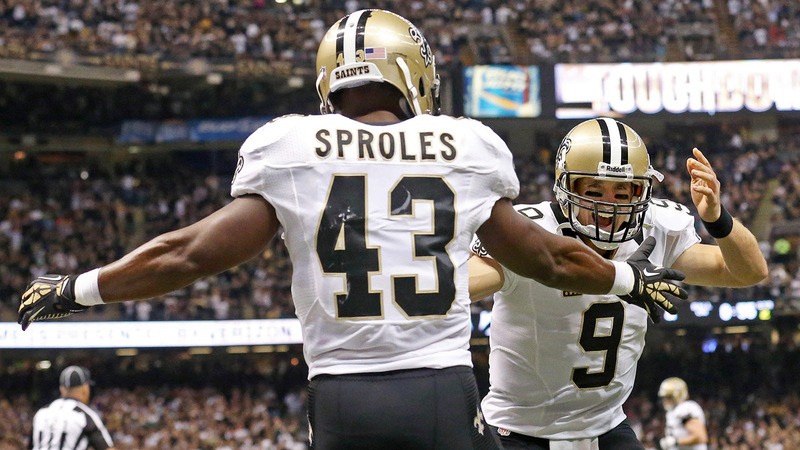 The 2014 season will also highlight the New Orleans Saints in five prime time games. The first comes on the road Sunday, September 28 in Dallas against the Cowboys. The Saints other matchup on Sunday night comes at home against the Green Bay Packers on October 26. That leads into a quick turnaround for the Black and Gold Thursday night versus the Carolina Panthers in Charlotte on October 30. The Saints host the Baltimore Ravens in a Monday Night Football showdown on November 24, then brave the bitter conditions at Soldier Field for their final prime-time match up against the Chicago Bears on Monday, December 15. The good news for the Saints is that side 2006, when playing in prime time or in games seen by a nationally televised audience in the regular season, the Saints sport an impressive 22-9 record, or a .707 winning percentage. Super Bowl XLIX will be played at University of Phoenix Stadium in Glendale, AZ on Feb. 1, 2015. This season will be the first time that the Saints have opened on the road since 2011 and the first time they have played their first two contests away from the Mercedes-Benz Superdome since 2007. For their home opener, the Saints will face the Minnesota Vikings on September 21 during a noon kick off CST, which will be televised on FOX. up on Sunday night comes at home against the Green Bay Packers on October 26. That leads into a quick turnaround for the Black and Gold Thursday night versus the Carolina Panthers in Charlotte on October 30. Click here to see the entire 2014 schedule for the Saints.